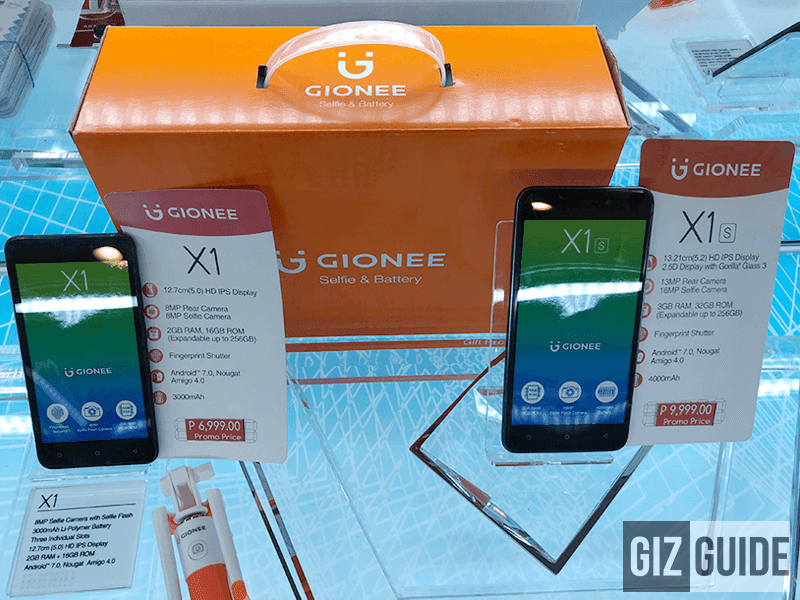 Gionee has two interesting smartphones on a promo price this Christmas season, the entry-level Gionee X1 and the selfie-centric Gionee X1s with 16MP front camera. In case you missed it, the Gionee X1 boasts a metallic looking body paired with a 5-inch HD 720p LCD. It boasts MediaTek's MT6737 entry-level quad-core chip, 2GB RAM, 16GB expandable storage, and 3,000mAh battery. This phone highlights an 8MP camera behind and in front. On the other hand, the Gionee X1s with the bigger handset with better specs. It boasts a 5.2-inch HD 720p 2.5D screen with Gorilla Glass 3 protection, 64-bit MT6737T quad-core processor, 3GB RAM, 16GB expandable storage, and large 4,000mAh battery. Gionee boasts that this phone can last up to two days on a single charge. The other highlight of the X1s are its cameras. Behind, it has a single 13MP shooter. But, in front, there's a BIG 16MP front facing camera with Face Beauty 2.0 software and Beautified Video modes. Both phones has a fingerprint scanner, WiFi, LTE, Bluetooth, GPS, A-GPS, dual SIM slots, and Android 7.0 Nougat OS w/ Amigo 4.0 skin. Gionee X1 and X1s is priced at PHP 6,990 and PHP 9,990 respectively.